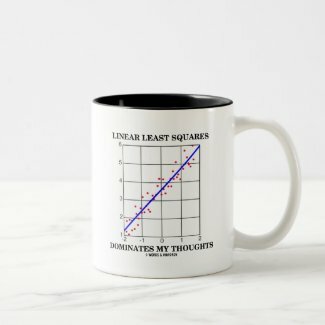 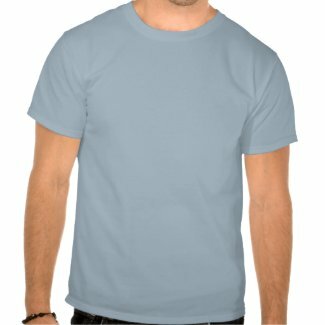 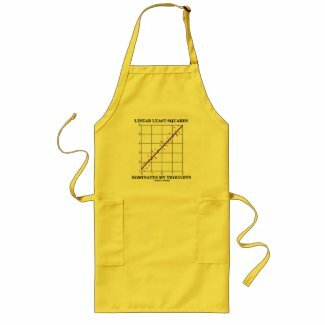 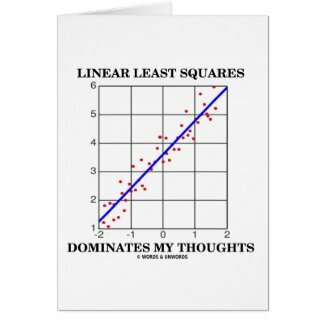 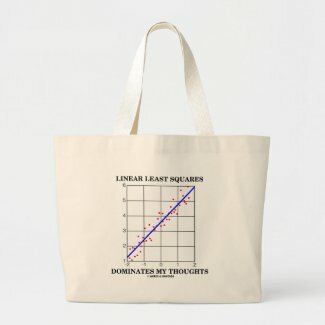 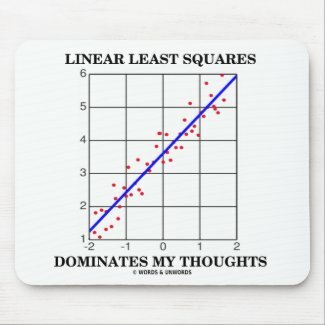 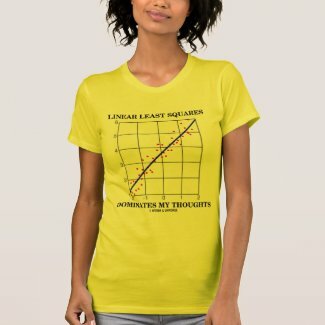 If you are into regression or statistics, you'll enjoy any of these stats humor gifts featuring the saying "Linear Least Squares Dominates My Thoughts". 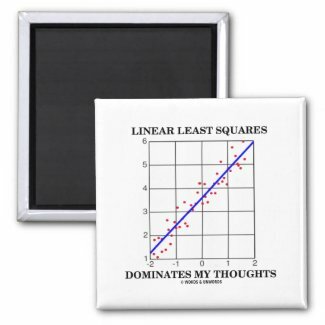 Make others do a double-take with a dose of tongue-in-cheek statistical attitude today! No need to be a statistician, psychologist or mathematician to enjoy!